PASADENA, Calif. -- NASA's Cassini spacecraft tasted and sampled a surprising organic brew erupting in geyser-like fashion from Saturn's moon Enceladus during a close flyby on March 12. Scientists are amazed that this tiny moon is so active, "hot" and brimming with water vapor and organic chemicals. New heat maps of the surface show higher temperatures than previously known in the south polar region, with hot tracks running the length of giant fissures. Additionally, scientists say the organics "taste and smell" like some of those found in a comet. 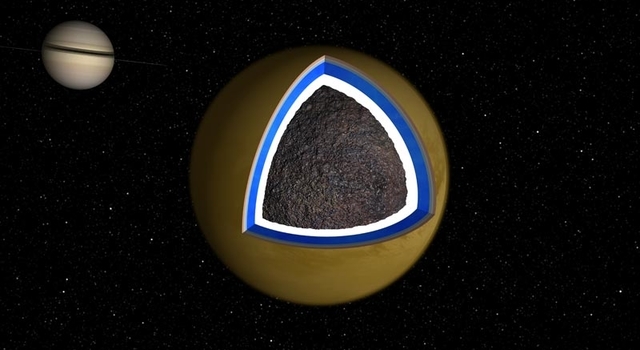 The jets themselves harmlessly peppered Cassini, exerting measurable torque on the spacecraft, and providing an indirect measure of the plume density. "Enceladus is by no means a comet. Comets have tails and orbit the sun, and Enceladus' activity is powered by internal heat while comet activity is powered by sunlight. 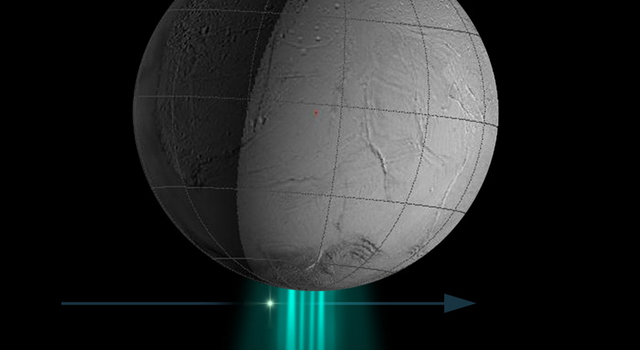 Enceladus' brew is like carbonated water with an essence of natural gas," said Waite. 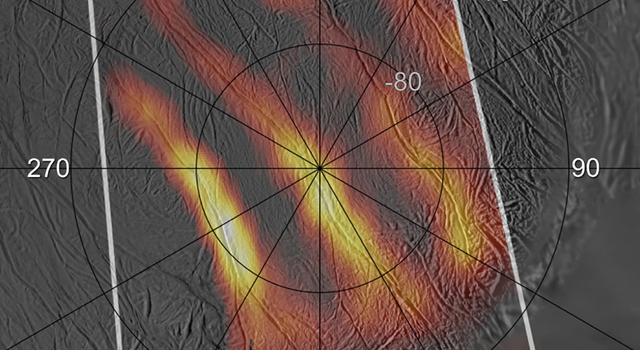 New high-resolution heat maps of the south pole by Cassini's Composite Infrared Spectrometer show that the so-called tiger stripes, giant fissures that are the source of the geysers, are warm along almost their entire lengths, and reveal other warm fissures nearby. These more precise new measurements reveal temperatures of at least minus 93 degrees Celsius (minus 135 Fahrenheit.) That is 35 degrees Celsius (63 degrees Fahrenheit) warmer than previously seen and 115 degrees Celsius (207 degrees Fahrenheit) warmer than other regions of the moon. The warmest regions along the tiger stripes correspond to two of the jet locations seen in Cassini images. "These spectacular new data will really help us understand what powers the geysers. 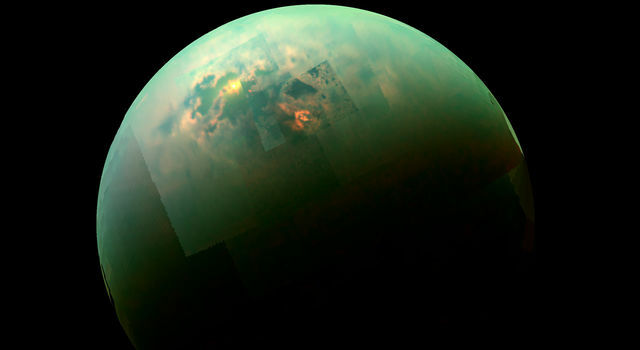 The surprisingly high temperatures make it more likely that there's liquid water not far below the surface," said John Spencer, Cassini scientist on the Composite Infrared Spectrometer team at the Southwest Research Institute in Boulder, Colo. 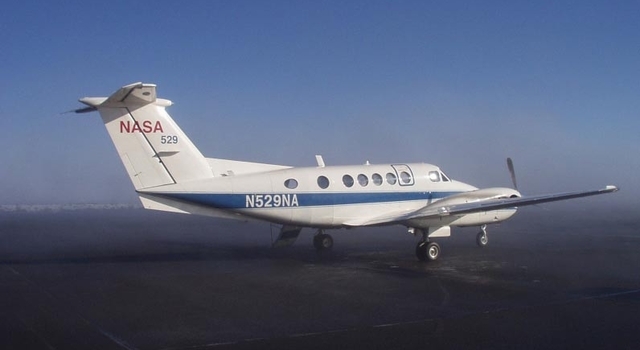 Images from previous observations show individual jets and mark places from which they emanate. New images show how hot spot fractures are related to other surface features. In future imaging observations, scientists hope to see individual plume sources and investigate differences among fractures. "Enceladus has got warmth, water and organic chemicals, some of the essential building blocks needed for life," said Dennis Matson, Cassini project scientist at NASA's Jet Propulsion Laboratory in Pasadena, Calif. "We have quite a recipe for life on our hands, but we have yet to find the final ingredient, liquid water, but Enceladus is only whetting our appetites for more." At closest approach, Cassini was only 30 miles from Enceladus. When it flew through the plumes it was 120 miles from the moon's surface. Cassini's next flyby of Enceladus is in August. The Cassini-Huygens mission is a cooperative project of NASA, the European Space Agency and the Italian Space Agency. 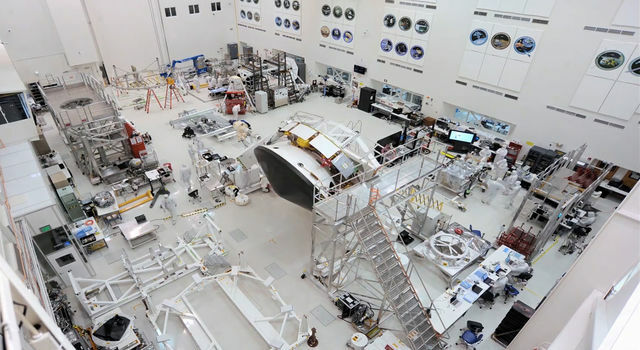 The mission is managed by JPL for NASA's Science Mission Directorate, Washington. For images and more information, visit http://www.nasa.gov/cassini or http://saturn.jpl.nasa.gov/.